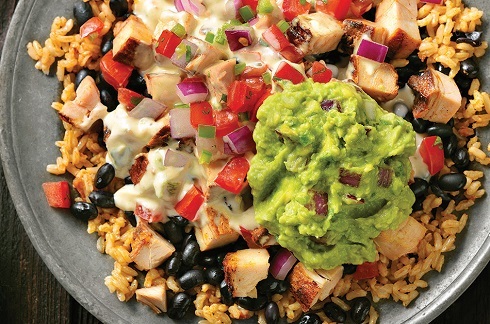 QDOBA Mexican Eats®, a popular restaurant brand well-known for its 3-Cheese Queso and hand-smashed guacamole, is bringing bold, Mexican-inspired flavors to the Clarksburg and extended area with the addition of a new restaurant at Eastpointe Shoppes on Emily Drive. When doors open on April 25th, guests can come in and enjoy a handcrafted meal built right in front of them. This 2447-square-foot QDOBA restaurant features comfortable seating for up to 76 guests – 64 indoor seats and 12 patio seats. This location will be a locally owned and operated franchise owned by Canticle Inc. The Canticle franchise group also owns the locations in Barboursville, Charleston, Beckley and Morgantown. Join us May 11th for the Grand Opening Celebration! To celebrate its grand opening, the Clarksburg QDOBA will be partnering with their vendors to give away prizes, coupons and free food. Like all QDOBA restaurants, this location offers an innovative menu with high-quality ingredients, such as freshly chopped veggies, in-house pickled jalapeños and flame-grilled steak and adobo chicken. Guest can walk through the line and build their own meal just how they like by choosing from a variety of entrée options, including tacos, burritos, burrito bowls, quesadillas, nachos, salads and Loaded Tortilla Soup. For information on West Virginia Qdoba Mexican Eats location, visit www.qdobawv.com.